Each pack contains shaped/ printed balloons featuring with a cheery illustration of Snowman and also Santa Claus , printed on one side. 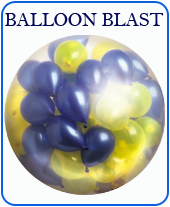 Perfect for Christmas, these fantastic festive balloons are exclusive and will look great, decorating your party. Use them for decorations or put them in party bags as special seasonal treats at your Christmas party and these attractive balloons will give your party an extra special festive touch. Important information: 4 pieces in a pack- 2 Snowman and 2 Santa Claus , 19cm Dia, 56cm Length, Pastel White and Red Colors *, 8.5 Litres Volume with Floating Time of 13 hours**.